Make sure your loved ones get the right gift this Christmas, the gift of choice. With the freedom of over 75 brands to choose from, Christmas gift ideas for him and her just got easier! YouGotaGift.com, the first online mall for eGift Cards, you can do all this and more. They can go straight to the store, or even choose something after Christmas when the mid-season sales start and the prices deflate again. Our eGift vouchers are valid for up to one year and you can even schedule the present to be sent at a specific time on a specific day. Moreover, our online cards can be personalized with a picture, video, audio or a message, including template Christmas and Season’s Greeting cards. Our instant platform has made last minute Christmas gift ideas an ease. So if you’re stuck for a present this Christmas time, the perfect one is just a few clicks away. Why should giving the perfect gift be so hard to find? YouGotaGift.com has wide selection of retail brands catering to tech lovers, music lovers & movie goers, outdoorsmen, foodies, and fashionistas. Christmas gifts are known for being repetitive, hard to decide upon and just down right stressful. Combine this with the sheer busyness of shopping during Christmas time and you’ll conclude why our online gift cards are the perfect option for anyone. Now you can be sure your loved ones will get a chance to choose what they really want helping you keep the holiday cheer and avoiding disappointment all in under a few minutes. It doesn’t matter if you’re all together on Christmas Eve or your loved ones happen to be far away, YouGotaGift.com brings its joy instantly. Our ever-growing brands are spread across the UAE, Lebanon, Bahrain, Qatar and Saudi Arabia. What’s the best part about using YouGotaGift.com during the Christmas period? 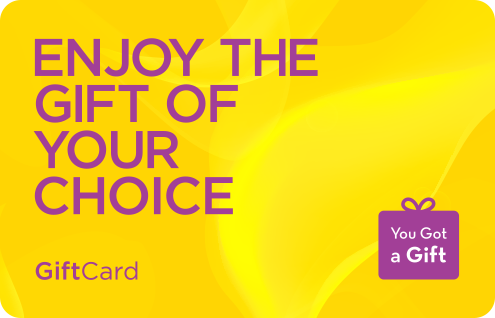 Well, apart from making the most of our smooth, hassle free, online experiences while everyone else is scrambling for the same gifts in store, whoever is lucky enough to receive an eGift Card has endless possibility. Order Christmas gift cards and spread season greetings in just a few clicks, sending them to your friends through SMS, Facebook or email. Redeeming for the recipient is simple too. Just walk in to the selected retail partner, decide on the items you want, and present the eGift Code at the checkout counter. 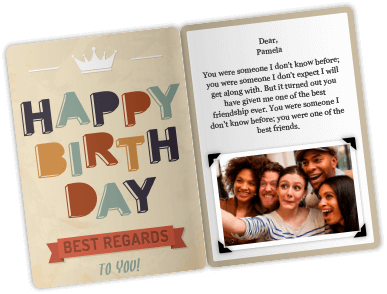 It is that easy and fast to send a personalized gift with YouGotaGift.